Planning a large party or event in Karrakatta and need Jumping Castle Hire? Planning a party that stands out and is above the rest is easy when you hire a jumping castle from Soxon jumping castles. It's a fun and safe addition to any child or adult party. To make things even easier for you not only can you book online we have free delivery to Karrakatta. View Jumping Castle Hire Range that we deliver and instal in Karrakatta. Whether its a child party, teenagers or an adults birthday party jumping castles are the perfect addition to any party. For a party in Karrakatta we have lots of options to suit the birthday girl or boys favourite animal, movie or character. Don't worry about the budget as we have a comprehensive pricing list and many budget options so that you don't have to compromise on fun for the birthday girl or boy. View our Karrakatta birthday party range. Need to add some fun to your corporate function? Well, you can get a jumping castle delivered for free to Karrakatta. How easy is that, Soxon even install the jumping castle for you and dismantle it after the function. Let your employees and co-workers let their hair out and have some fun on one of our many fun jumping castle options. View our range that delivers to Karrakatta for free. Community fairs in Karrakatta or events can't be complete without a fun jumping castle to help keep the kids little or big kids (teens to adults) entertained. 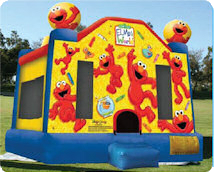 There are many options from a single themed bouncing castle to combo jumping castles. With no need to worry about the legal issues that already do community event planners heads in as all Soxon themed castles are completely licensed. 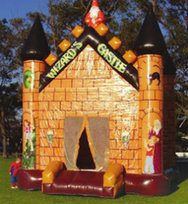 Adding a castle to your Karrakatta event won't even be painful as we deliver to Karrakatta for free. Our professional team will set up and at the end of the even dismantle the castle for you meaning all you need to do is be there to greet our friendly staff and show them where to set up. Combo castles are a bouncy castle and slide of varying sizes for all kinds of parties and free delivery to Karrakatta making a child's birthday a perfect day. Small combo - Need something a little bit bigger and more interesting for a home party then these are perfect options, with a large range or character themed or just bright and fun options. As these options are for home parties only there are restricted delivery times to Karrakatta to between 7am - 5pm. View our Karrakatta range of Small combo castles. Large combo - Make a party memorable for years to come with a huge combination castle with a slide and jumping area filled with images of their favourite characters! It'll make sure that the kids will wear off all that birthday party sugar while having the time of their life. Check availability for our large combo castle for Karrakatta. Browse the online store or call our friendly staff to find the perfect castle for your event. You can order online and have it delivered on the desired date to Karrakatta. If you have any issues booking online please call the head office on 448 281 834 for over the phone bookings of Jumping Castle Hire to Karrakatta.